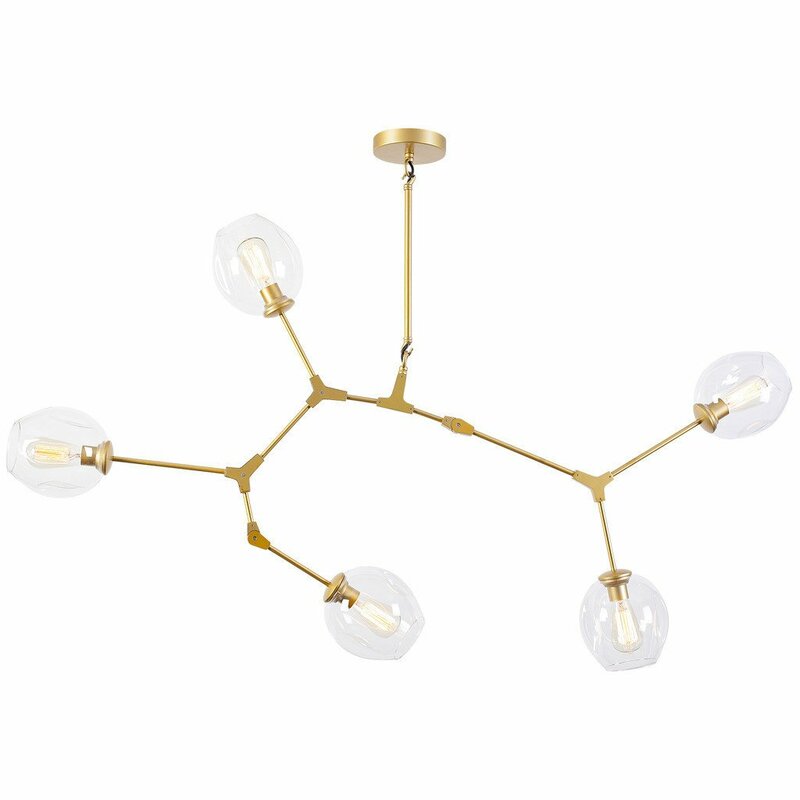 The Amelie Chandelier features either three or five lights (please select size). 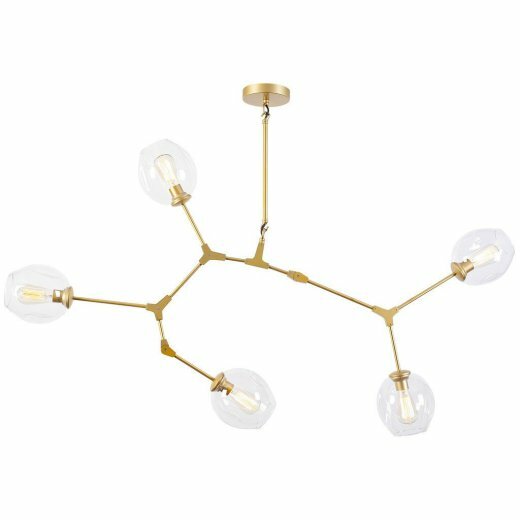 With an organic look, warm brass finish and clear glass, this chandelier brings a light and airy look to your space. The light features 5 medium base bulbs (60W max, not included. The wire is 34" created from one 15" and 19" drop rods. The Amelie chandelier is fully dimmeable to create just the right ambiance.and one 19" Rod. The delicate glass and contrasting metal has a casual yet modern look. Each shade: 7"Dia x 7.5"H.